In the Spring of 1985, the first circle dance weekend ever in North America was advertised in Berkeley, California. Among the attendees were Laura and Howard Siegel: she looking enthusiastic and he looking as if his arm had been vigorously twisted. But by the end of the first day, in the terminology of that time, Howard had blissed out. The chemical engineer that he was was already fading away and the circle dancer was emerging. We started dancing every Friday, and Howard hardly missed a session for twenty years. He became an excellent teacher, an efficient organizer, and a splendid evangelist. 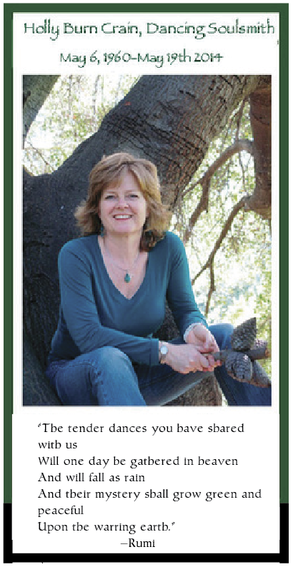 He was instrumental in finding the current East Bay dance venue at Hillside Church, and in starting the tradition of summer dance camps at Far Horizons in the Sierras. When the long drive from Pacifica to Berkeley became too much, he started his own group in Pacifica, which thrives today. His farewell evening in Berkeley attracted one of the largest crowds we've ever had. He is sorely missed. 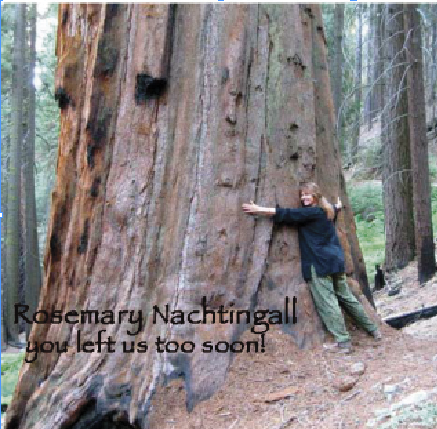 Rosemary of Squaw Valley Herb Gardens left us in January 2015, too too soon. 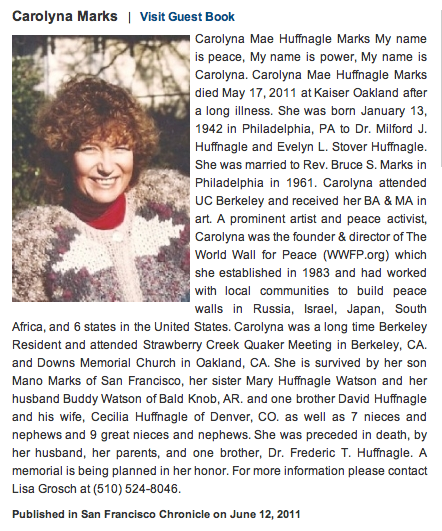 We remember her amazing joy in life, her love of Sacred Circle Dance, her generous gifts of herbal lore, and her lemon verbena ice cream! We will miss her in the circle, and hear the echo of her big big laugh on the wind at Far Horizons for evermore.